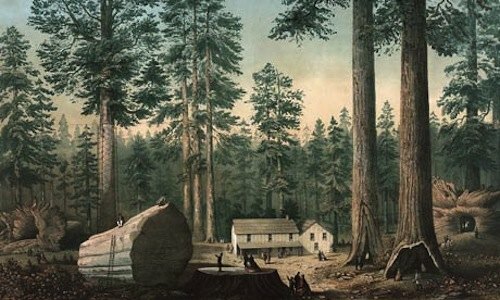 Footnote: I first fell under the spell of the story of the Mammoth Tree five years ago – I feel it has many lessons for us today – and have been researching the tale, on and off, ever since, with the expert guidance of Gary D Lowe. 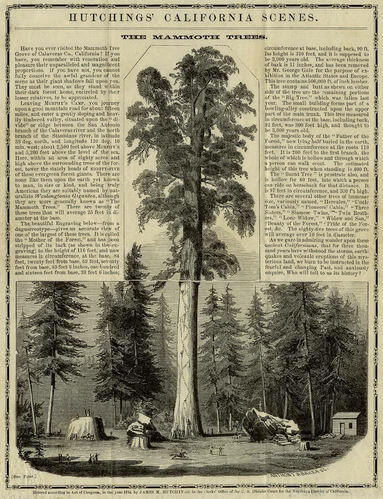 Gary has written a number of booklets on the topic, including one about the Cornish plant hunter William Lobb who was in California at the time and, upon hearing of the tree’s discovery, rushed to the site to collect seeds and then took the first ship back to London to deliver them to his employer, Vietch Nurseries of Exeter and Chelsea. But that’s a whole other story… Please email me if you want one of Gary’s books, or know more about this wider subject. Next post: Los Angeles Launches Largest Feed-In Tariff Solar Program In U.S.